We specialise in working with telecommunications cabling / PBX Phone Systems / IP Phone Systems / 3CX Phone Systems. APCOMS helps you to keep updated to make the most of it. 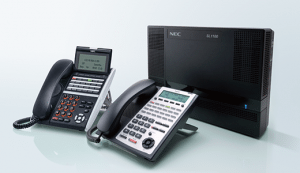 Home, Office, Small Business Phone Systems. new or refurbished, with full installation and configuration. Which phone solution is right for your business? Whether you’re looking for a small office phone system or a multi site business phone system, we can help. With a range of phone systems from the world’s leading brands (PANASONIC – NEC – LG – ARIA – SAMSUNG), we offer local service and support across Perth, let us assist you in choosing your new phone system. APCOMS provide the best prices and service helping you with all the steps along the way including installation, cabling, broadband & telephone line connections. Confused with the choice? Need help sorting what your business needs? If you are unsure what phone system package would suit your business phone requirements and budget or you can’t see something to suit your needs, APCOMS provides with guidance to select the best phone system for your company. We will sort through the all the options and make the best recommendations for your business. Our certified and highly trained technicians enable us to diagnose and repair problems with the minimum amount of downtime. – Maintenance: All maintenance customers have pro active maintenance monitoring activated to minimize the effect of any service disruptions. – Relocation of Systems: Moving? We are able to – transfer your existing telephone systems to the new location with ease. – Faults: Covering all, our team is able to fix up any loose ends around the workplace. – Configuration: Stop working as expected. Our team configures extensions, messages, diversions and any other type of configuration of your phone system. VoIP technology to reduce your call costs. Use your mobile to stay contactable on your office number. System includes door phone /door striker / interface to on-premise alarm system. Mobile apps for iOS and Android / Plus more! Let us help you transition to NBN. You are not restricted to NBN service only and have multiple options available. We can provide NBN service or an equivalent or superior services prior NBN availability. It is important to know that your existing equipment doesn’t need to be replaced and ca economically interfaced to NBN services. We can advise and provide for alternate options for services affected by the end of life copper services such as phone lines, internet / IT services, security, EFTPOS, fax and lift emergency lines. As you transition to the new technology, one of the critical issues is quality and timely support. Along with our partners we pride ourselves on being able to provide local telephone and onsite support for all services including your existing hardware. As we as competitive NBN/Data plans, we provide flexible VOIP telephone plans that can be tailored to your requirements with capped or pay as you go rates. Also available are competitive rates on 13, 1300, 1800 services. Talk to us about the latest technology in VOIP telephony, access control, WiFi and Video surveillance. If you have already connected NBN we can still assist you to get the best out of the NBN service! Phone systems Installation or Issue?